Delicious black bean soup topped with chopped grape tomatoes, plain yogurt, and fresh chives from my garden. Served alongside gluten-free brown rice crackers by Food Should Taste Good, purchased at Costco. 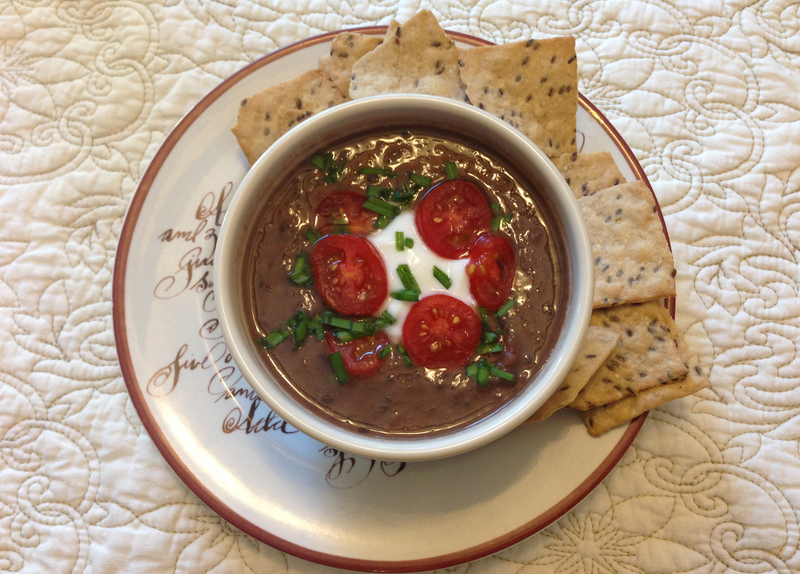 Quick and delicious, this gluten-free black bean soup makes a refreshing summertime meal. A sweet friend brought a batch of this soup to me after my jaw surgery and I’ve been making it ever since. She shared the recipe with me from AllRecipes.com After making it a few times, I modified the recipe slightly by cutting back on the cumin and using chicken broth instead of veggie broth. –Top with plain yogurt to substitute for sour cream, chives, tomatoes, black olives, or whatever you’d like! To view the original recipe from Maryanne, you can visit the link here. Enjoy this light and refreshing meal! 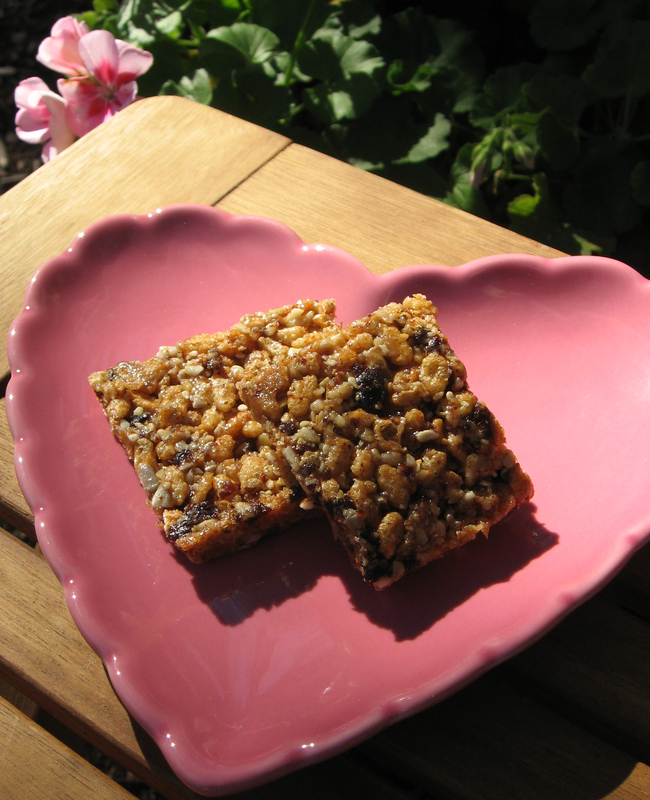 Yummy gluten-free bars are a healthy alternative to sugar-filled sweets! My lovely neighbor brought us some of these delicious and not-to-sweet bars recently. I asked her to share the recipe with me, and now I’m sharing it with you! 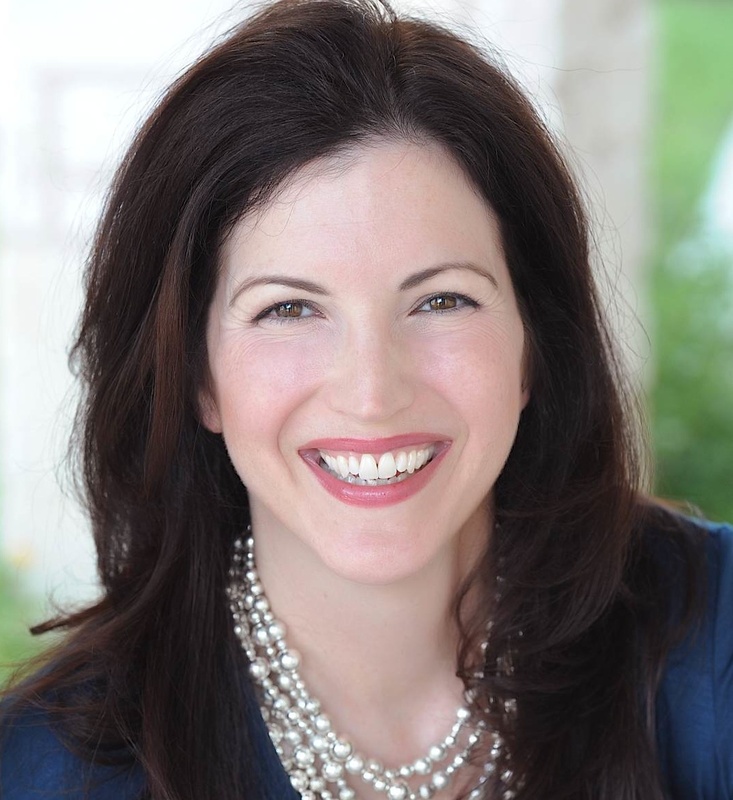 This recipe was developed and written as-is by Teri Gruss, who is the author of the About.com Guide to gluten-free cooking. Consider baking this healthy alternative instead of cakes and cookies for Valentine’s Day this year! 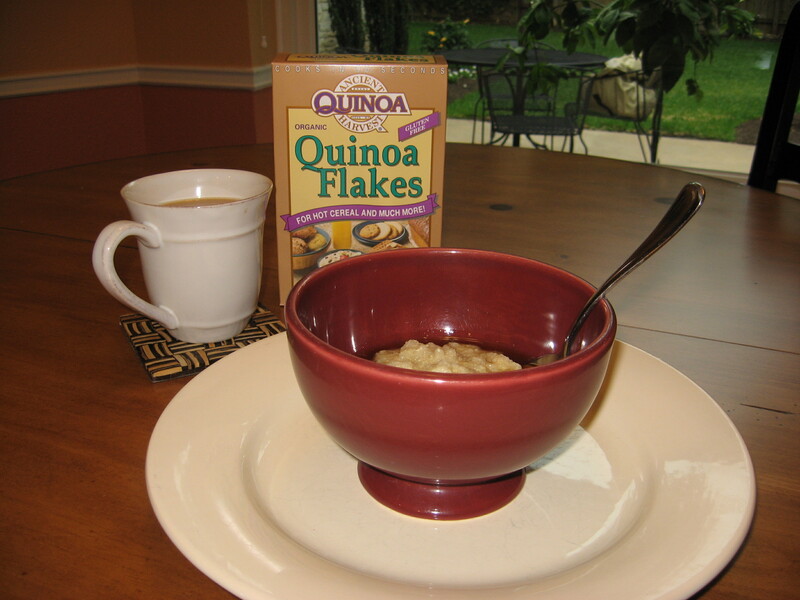 Quinoa Flakes for Breakfast – Super Tasty and Gluten-Free! Recently, I’ve decided to give gluten-free living a try. I love having hot breakfast year-round and discovered the tasty treat of Quinoa Flakes. Quinoa Flakes are quick and easy, and are a delicious, gluten-free alternative to oatmeal. This hot cereal is literally ready in 90 seconds on the stove. I add a dash of sea salt and some maple syrup to mine each morning. They are super-healthy and even my 1-year-old loves it, without the syrup! If you’re looking for a healthy, gluten-free, hot breakfast, I know you’ll enjoy it, too!